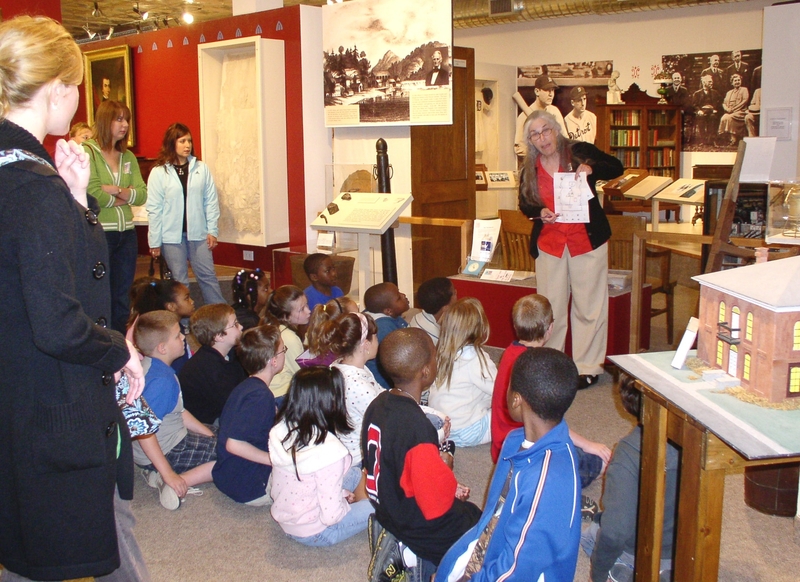 Children learn about local history at the Barstow History Museum in Cartersville, Georgia. The museum includes exhibits on the area’s Native American heritage, the Civil War in Bartow County, the plantation era, industrial growth, and famous local individuals. Cartersville (population 18,965) is located in northwestern Georgia. Before the arrival of European settlers, the area was inhabited by Creek Indians, who were driven out by the Cherokee in the late 18th century. The Cherokee lived peacefully with the settlers until gold was discovered in northern Georgia in 1828, after which the state of Georgia appropriated all the American Indian lands. In the early 1800s, a small community known as Birmingham had sprung up along a popular local stagecoach route. A frequent stagecoach passenger, Col. Farrish Carter, owned plantations in Chatsworth and Milledgeville. At Carter’s suggestion the town was renamed Cartersville, even though he never actually resided in the town. After the Civil War, Cartersville became the county seat of what was then Cass County, which later became Bartow County. Cartersville was incorporated as a city in 1872. Cotton was Georgia’s No. 1 cash crop until the boll weevil infestation of 1917, which devastated cotton production and created a regional depression that lasted until the 1950s. Various state road projects, the construction of Allatoona Dam creating Allatoona Lake, and the opening of nearby Red Top Mountain State Park revitalized the local economy. By the1970s, Cartersville’s economy had diversified sufficiently to support a city again, and in 1993, the city appeared in a book as one of the 100 Best Small Towns in America. Cartersville recently completed the renovation of its 1869 courthouse building, one of only two surviving Italianate-style courthouses in Georgia. After its tenure as a courthouse, the building was used for many purposes, including an antique store, roller skating rink, and furniture store. Today it houses the Bartow History Museum, which includes exhibits on the area’s Native American heritage, the Civil War in Bartow County, the plantation era, industrial growth, and famous local individuals. The museum hosts a monthly lecture series and offers educational programs for local students, both in the building and at area schools. Cartersville’s Grand Theater opened in 1910, reopened in 1929 after a fire destroyed the original building in 1923, and was completely renovated in 1989. In cooperation with the museum, the theater welcomes an average of 3,500 students each year to extended classroom programs and performances, each of which includes a short history of Cartersville and the theater. Other tourist sites include the Booth Western Art Museum, which features a collection of presidential letters and portraits and a Civil War gallery, as well as contemporary Western art. The Rose Lawn Museum, listed on the National Register of Historic Places, is a beautifully restored Victorian mansion that was home to evangelist Samuel Porter Jones and is the site of an annual arts and crafts festival. The Tellus Museum, opened in 2008, is devoted to fossils, minerals, transportation technology and hands-on, interactive science experiences. 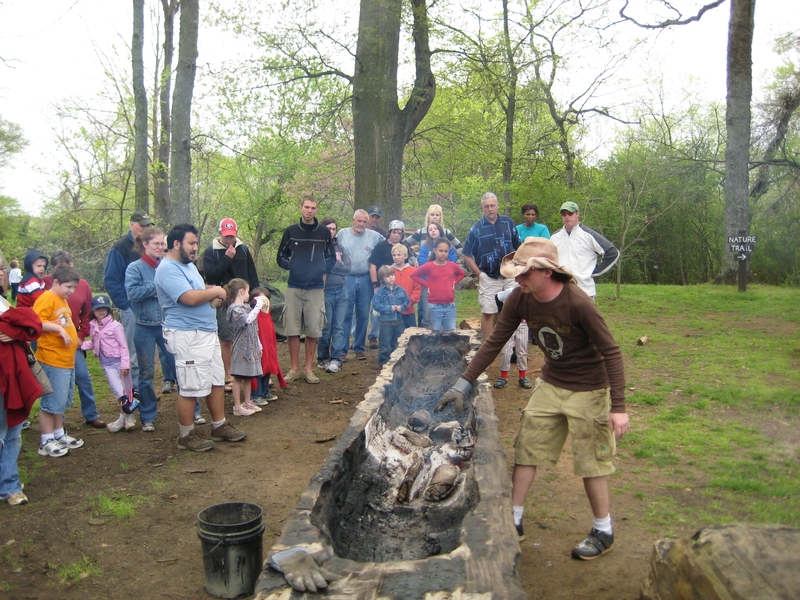 The Etowah Indian Mounds Historic Site is just outside of Cartersville. Home to several thousand Native Americans between 1000 A.D. to 1550 A.D., this 54-acre site contains six earthen mounds, a plaza, village area, borrow pits, and a defensive ditch. Cartersville offers visitors a Historic Downtown Walking Tour, and the town is part of several regional self-guided heritage trails, including the Chieftains Trail, a tour of northwestern Georgia’s significant Native American sites; the Blue and Gray Trail of Civil War sites between Chattanooga and Atlanta; and the Dixie Highway, a tour of one leg of the nation’s first north-south interstate highway.